Are you promoting physical or digital products across sites such as Amazon or iTunes? If so, I would also venture to guess that you are probably also earning affiliate commissions for all of the traffic that you are sending to these storefronts. One thing that a lot of affiliate marketers are not aware of, is that stores like iTunes and Amazon are actually made up of multiple country and region specific storefronts all around the world. Amazon for instance, is actually made up of 14 different country specific storefronts with 11 different affiliate programs (three storefronts don’t have an affiliate program yet). Well, unfortunately this means that if you are sending all of your customers to a single storefront like Amazon.com, you are most likely missing out on a large number of international sales and commissions. Would you buy a product from the German Amazon storefront if you lived here in the US? Well your audience is no different. They want to be able to purchase the products you are promoting from their own storefront, in their own language, using their own currency, without exorbitant international shipping costs. Even if they want to purchase, they may face error messages that will not even allow them to complete the purchase. So how can you recapture this lost international audience? Luckily, there is a tool out there that will help you solve this problem once and for all. This tool is called Geniuslink. 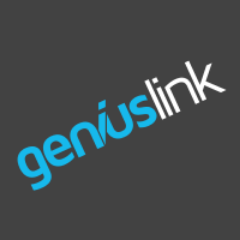 Geniuslink allows you to create a single “globalized” or “geo-localized” link that automatically routes your customers to the correct iTunes or Amazon storefront, no matter where in the world they are coming from. So your German customers will be sent to the correct product in Amazon.de, UK customers to Amazon.co.uk, French customers to Amazon.fr, and so on. In addition, to ensure that you receive the international affiliate commissions that you deserve, you can add all of your iTunes and Amazon Affiliate IDs to your Geniuslink dashboard. Once you have done this, the service will then automatically add the correct ID to your link each time a customer clicks ensuring that you receive credit for that click, no matter where in the world that customer resides. Your German customers will be sent to the correct product in Amazon.de, UK customers to Amazon.co.uk, French customers to Amazon.fr, and so on — automatically. Since Amazon is broken into 11 separate “Associates Programs,” you will have to sign up for each of the individual programs where you would like to earn commissions. However, once this is done, and you have created a globalized “geni.us link,” you will never have to worry about losing those international affiliate commissions again. Geniuslink offers a variety of other really useful tools, but this automatic globalization and affiliation, is incredibly important for any affiliate marketer promoting products on stores such as iTunes or Amazon. Check out their website at geni.us to test out the service and see if global links boost your affiliate commissions. It’s free to test it out for 30 days, so if you have any kind of international traffic on your site it’s worth a shot.